Please have a look at the pools swimmers like you have reported near Belgium. Please, report any Belgium Swimming Pool not listed here. We probably don't know all the Pools in Belgium. Are you missing any? Contact us!. The most effective Belgium Pools are located mainly in massive cities, but it is also quick to find public pools in rural areas. The finest choice for the duration of your visit to Belgium are going to be droping by a Belgium Swimming Pool. There are regularly discounts available to senior citizens and small children for independent swim. 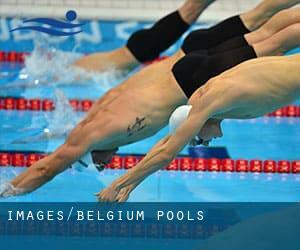 Discover by contacting your nearest pool among these Belgium Pools. Are you on holiday and would like to keep fit and healthy? Swimia.com delivers you the quick and quickest strategy to find Aquagym in Belgium near your present location. One of the advantages of outdoor swimming in Belgium is the possibility to sunbathe during the summer time season. Taking it with extra care, sunbathing is wholesome due to the fact introduces Vitamin D into the body, so the most beneficial selection seems to be switching among indoor and outdoor pools depending on the season. Enjoy the best indoor pools in Belgium and don't worry about the weather. These facilities are open all seasons and you can enjoy a swim at the same temperature every day of the year. If you're tired of having eyes and irritated skin, finding a saltwater pool in Belgium can be the solution. You should understand that the degree of salt from these pools is nicely beneath the degree of salt from sea water, specifically they are talking about a tenth or less. There are quite a few reasons why you should choose a heated swimming pool in Belgium. The most important one relies on the importance of keeping the body temperature stable. If the water is too cold, your body will try to warm it up and you will lose strength to swim properly. There are countless alternative treatments to chlorination, with good benefits that ensure superior water excellent in the pool. 1 possibility would be the mineralizer, which purifies water naturally and significantly decreases the chemicals used and maintenance time. Try Chlorine Free pools in Belgium. Whereas Antwerp is one of the six most populous cities in Belgium with nearly 459.805 residents, you shouldn't miss that one if you're going to Belgium. Without a shadow of a doubt, swimming in Brussels is the finest technique to unwind after work. Take a couple of minutes to browse Swimia's catalog to find a Swimming Pool in Brussels. Let us tell you a secret to switch off while you are in Ghent: just choose a Pool in Ghent and plunge into the water! There's no additional productive process. It's hard to visit Belgium without having dropping by Charleroi (with 200.132 residents). 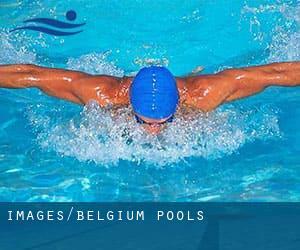 Presently Swimia is showing you all the Pool in Charleroi along with the closest pools situated in its vicinity. Updated on 2019 Sportcentrum , P. Van Cauwelaertstraat 26 , Ternat (Postal Code: 1740). This sports center offers 25 meters x 12 meters, 5 lanes, 1 meters - 2 meters depth, 1 meters - 2 meters depth, Indoors. Contact information and facts for this Swimming Pool such as phone number and email address are number. Updated on 2019 Katholieke Universiteit Leuven , Tervuursevest 101 , Heverlee , Leuven (Louvain) (Postal Code: 3000). Among all the activities supplied by the center, if you are interested in swimming you might delight in 25 meters, 6 lanes, Indoors. If you might want to contact this Swimming Pool, email address and phone number are both number. Updated on 2019 Rue Biens Lefevre , Neupre , Rotheux Rimiere (Postal Code: 4120). This sports center offers 25 meters, Indoors. For this Pool, only phone number is number here. Updated on 2019 Oordersweg 83 , Ekeren (Postal Code: 2180). Swimmers like you reported 25 meters x 12 meters, 6 lanes, 0.7 meters - 2.5 meters depth, 0.7 meters - 2.5 meters depth, Indoors. Phone number and e-mail address are number for this Swimming Pool. Updated on 2019 Place Albert 1er, 35 , Marchienne-au-Pont , Charleroi (Postal Code: 6030). Among all of the activities offered by the center, if you are interested in swimming you may enjoy 25 meters, Indoors. If you'll want to get in touch with this Pool, e-mail address and phone number are both number. Updated on 2019 Aarschotsesteenweg 732 , Wilsele , Leuven (Louvain) (Postal Code: 3012). This sports center gives 25 meters x 10 meters, 5 lanes, 1 meters - 3 meters depth, 1 meters - 3 meters depth, Indoors. For this Pool, only phone number is number here. Updated on 2019 Rue de la Foulerie , Couvin (Postal Code: 5660). Swimmers like you reported 25 meters, 5 lanes, Indoors. Unfortunately we do not have the email address of this Swimming Pool, but we can give you the phone number. Updated on 2019 Rue Eloi. Fouarge , Saint Georges sur Meuse (Postal Code: 4470). This sports center delivers 25 meters, Indoors. For this Swimming Pool, only phone number is number here. Updated on 2019 Stadionlaan 4 , Kessel-lo , Leuven (Louvain) (Postal Code: 3010). Among all of the activities provided by the center, for anyone who is keen on swimming you will enjoy 25 meters x 15 meters, 6 lanes, Indoors. Just in case you want to contact this Pool prior to dropping by, we only know the phone number. Updated on 2019 Chemin de Weyler, 2 , Arlon (Postal Code: 6700). This sports center offers 25 meters, Indoors. For this Swimming Pool, only phone number is number here. Updated on 2019 Rue de la Natation, 10 , Ixelles , Brussels (Bruxelles) (Postal Code: 1050). Among all of the activities offered by the center, when you are keen on swimming you might take pleasure in 29.2 meters x 14.4 meters, 0.7 meters - 3.2 meters depth, 0.7 meters - 3.2 meters depth, Indoors. If you need to contact this Pool, e-mail address and phone number are both number. Updated on 2019 Rue Gretry, 55 , Liege (Postal Code: 4020). Among all the activities offered by the center, if you are interested in swimming you will enjoy 25 meters, Indoors. Updated on 2019 Rue Vert Lion, 40 , Kain , Tournai (Postal Code: 7540). Among all the activities offered by the center, for anyone who is considering swimming you can get pleasure from 25 meters x 12.5 meters, Indoors. Just in case you wish to contact this Swimming Pool before dropping by, we only know the phone number. Updated on 2019 Boulevard des Rendanges , Jodoigne (Geldenaken) (Postal Code: 1370). Swimmers like you reported 25 meters, Indoors. Unfortunately we do not have the e-mail address of this Pool, but we can give you the phone number. Updated on 2019 Demervallei, 9 , Aarschot (Postal Code: 3200). Among all of the activities provided by the center, for anyone who is keen on swimming you will enjoy 25 meters x 17 meters, 8 lanes, 1 meters - 4 meters depth, 1 meters - 4 meters depth, Indoors. If you need to contact this Pool, email address and phone number are both number.